SYDNEY, NSW, AUSTRALIA, August 21, 2018 /EINPresswire.com/ -- Australia’s record-breaking high electricity prices are driving innovation to take budget pressure off household and small business consumers by combining smart automation technologies with ‘new energy’ solutions. That in turn is driving a budding partnership between award-winning homegrown digital energy player Wattwatchers, and the internationally-developed B.one smart hub, through its local representative B1 Hub Australia. Now deploying Australia-wide, with a strategic focus that includes the property development and new energy services sectors, B1 has taken its cue from heightened consumer sensitivity to electricity prices. The decision to target energy management as a frontline offering led B1 Hub Australia to seek out Wattwatchers, Sydney-based specialists in the connected monitoring and control of electricity, at circuit-level in real-time through the cloud. By adding Wattwatchers devices and data services into its solution stack, B1 Hub Australia is going well beyond the stereotypical ‘control a few lights’ and ‘add a few security alerts’ approach to home automation. Through its innovation focus, B1 Hub Australia is now offering a sophisticated ‘Energy Management System (EMS)’ enabled by the inclusion of Wattwatchers, with increasing levels of ‘smart energy meets smart home and office’ functionality to be added progressively into 2019 and beyond. B1 Hub Australia CEO Anup Raghavan said that adding advanced energy management capability was a logical move for B.One in the Australian market, given the national focus on high energy prices and the real potential to save money by managing energy better. 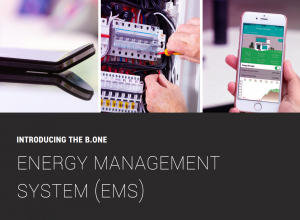 ‘By adding serious energy management system capabilities to the B.One Hub, we’re helping homes and businesses to take on one of their biggest everyday budget challenges.’ said Raghavan. ‘Control means going beyond merely intelligent to be genuinely smart. 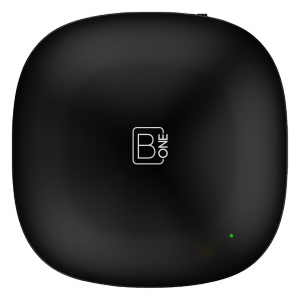 ‘B1 Hub Australia recognises that the penetration of Wireless Home Automation and Smart Home Automation products amongst consumers are heavily influenced by price and offers two solutions: the B.One Hub, and its latest addition the B.One Mini. The B.One Mini is a WiFi and IR gateway-based Home Automation Hub that is priced under AUD$100, making it an affordable solution to an Intelligent Smart Home. Wattwatchers CEO Gavin Dietz said the B1 Hub Australia partnership was a strong step towards his company’s vision for data-enabled empowerment of energy consumers.